We discover a small company selling 10 GHz transmitter kits for $29. Incredibly, the plans for adding FM audio capabilities and turning it into a bug cost only $2 more. 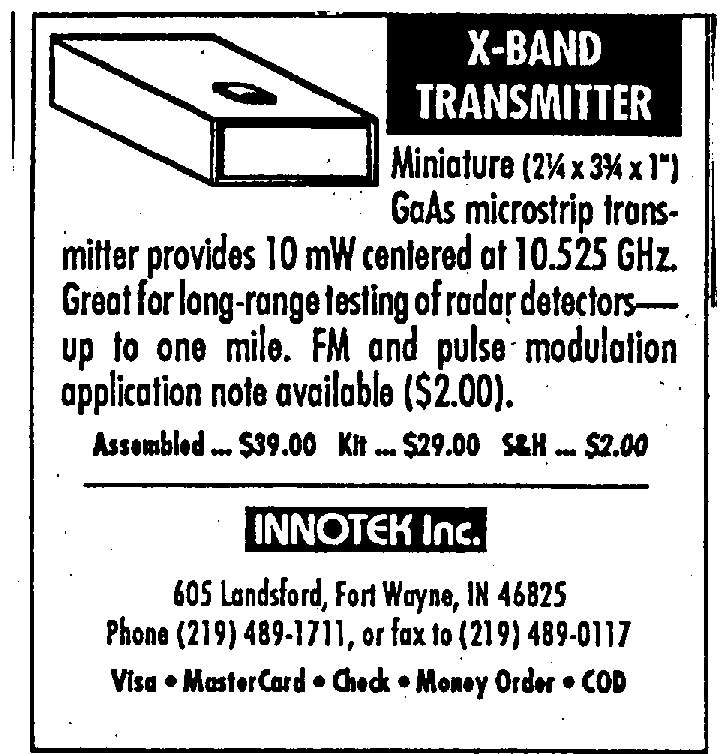 Inspection of radio frequencies above 1.8 GHz was rare at the time. We immediately boosted our audit capabilities.